Make Life Easier: Cut Box Tops Off! Inanimate objects are often the source of my frustration. All I want is to reach into the cabinet and grab a straw. I don't want to take the box out, open the lid, take out the straw, fold down the tabs, close the box, and set it back in the cabinet. Who has time for such ridiculousness? After countless times of reaching in and trying to open the box quickly without taking it out of the cabinet and knocking it over it came to me: cut the stinking top off! I now use this philosophy to wherever it can be applied and life is easier. 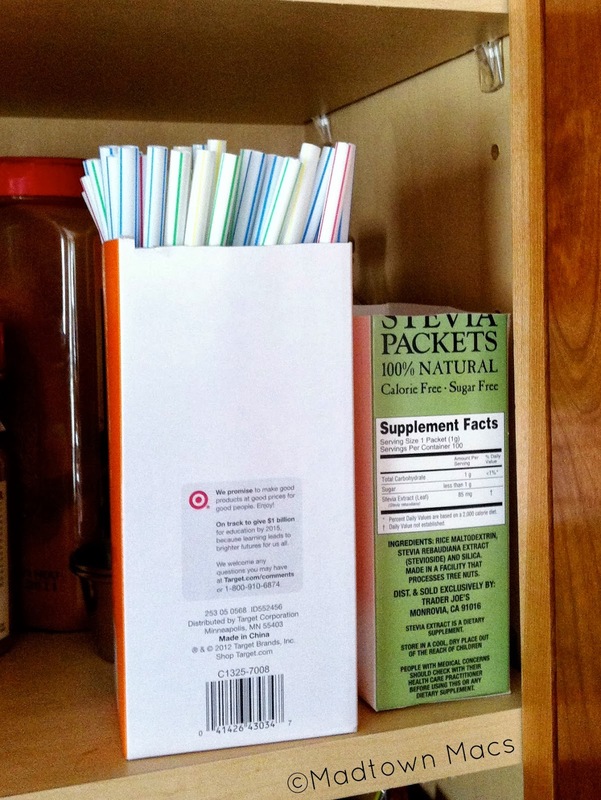 I also hacked the top off the Stevia packets. Look out, granola bars, I'm coming for you next! 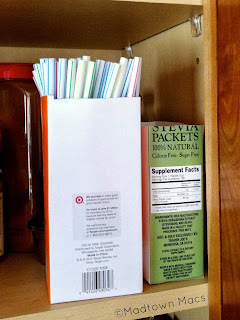 I hope this simple idea helps make pantry life less frustrating for you! I put my straws in an old school straw holder and LOVE it! 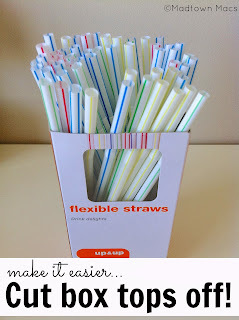 Btw...we use an awful lot of straws around here now that I think of it! I love that old straw holder! We use a ton too - all those smoothies we're sucking down!